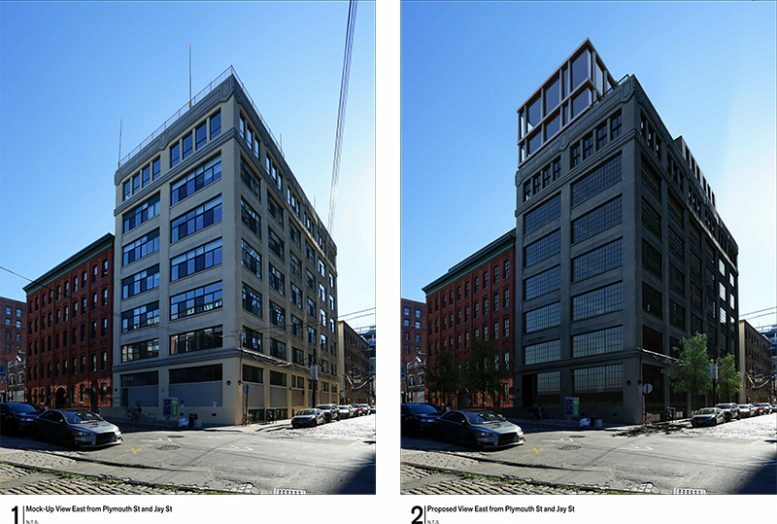 Alloy Development will today appear before the city’s Landmarks Preservation Commission to obtain approval for a residential conversion in Brooklyn’s DUMBO Historic District. 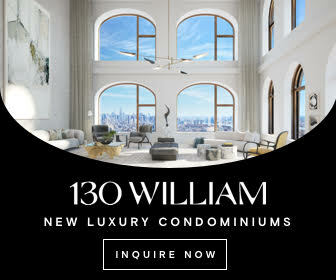 Located at 168 Plymouth Street, the development includes the transformation of a five-story structure at 50 Jay Street, and a neighboring seven-story building at 42 Jay Street. Alloy, who will also serve as design architect, first presented the conversion in June 2018. 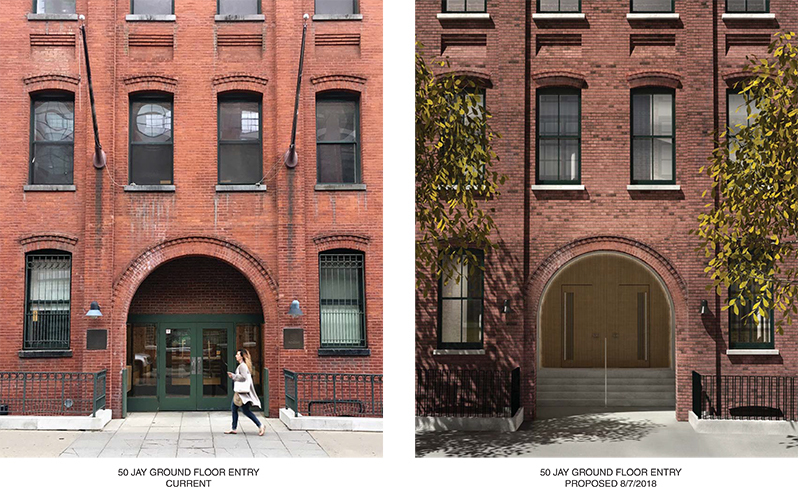 While the committee provided mostly positive feedback, the firm was asked to return with a revised proposal with particular attention to the residential entryway and stairs on the Plymouth Street frontage. 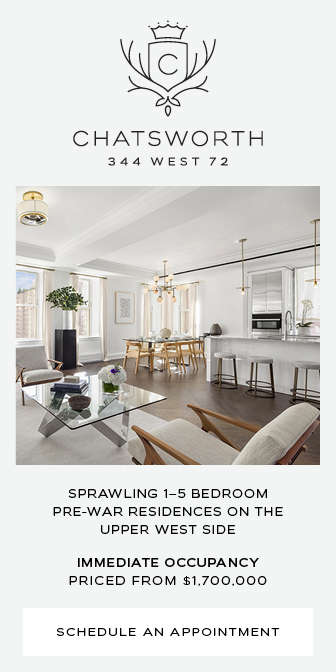 Today, the revised imagery provides greater details and contextual references for material usage, facade, residential floor plans, and new masonry windows. 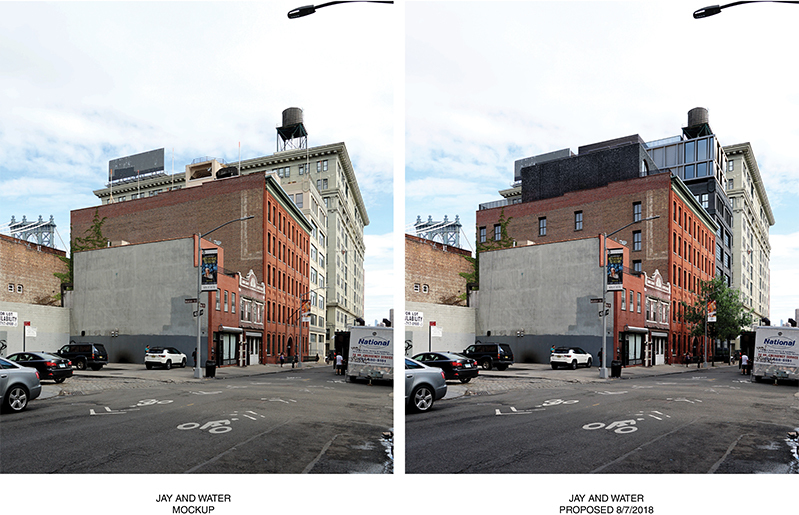 As previously reported by YIMBY, 50 Jay Street was originally constructed in 1851. 42 Jay Street was completed more recently, in 1921. Before Alloy acquired the properties, the buildings served as office space for Phoenix House, a drug and alcohol rehab center, and a paint manufacturing business. From outside, the buildings appear to be two separate structures, but are, in fact, connected on some levels on the inside. 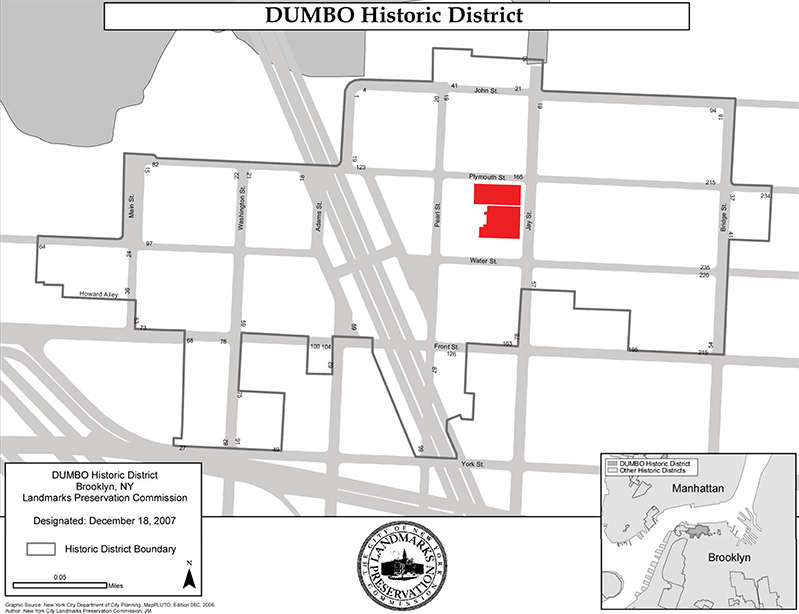 The shorter brick portion of the property will receive a one-story rooftop expansion for a final height of 102 feet. 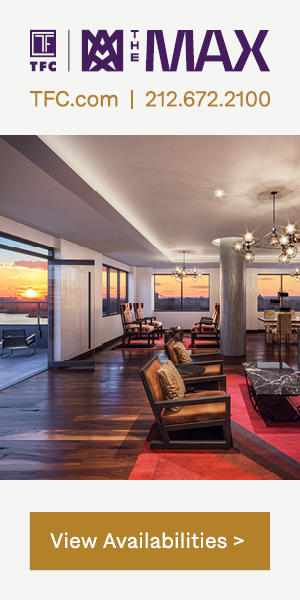 The expansion will include an elegant series of arched glass doors with blackened steel framed openings. The rooftop will also include three private cabanas and a common terrace. Floors two through six will new receive four over four double hung windows. At its base, revised entry-level stairs will lead to a doorway with a surrounding fence. The taller concrete building will rise 137 feet. The new rooftop additions will feature new two over two double hung windows. Below the roof, residential levels will receive divided light, factory-esque openings to match the “historic typology” of the surrounding district. The residential entrance is recessed from the sidewalk with surrounding metal railing. 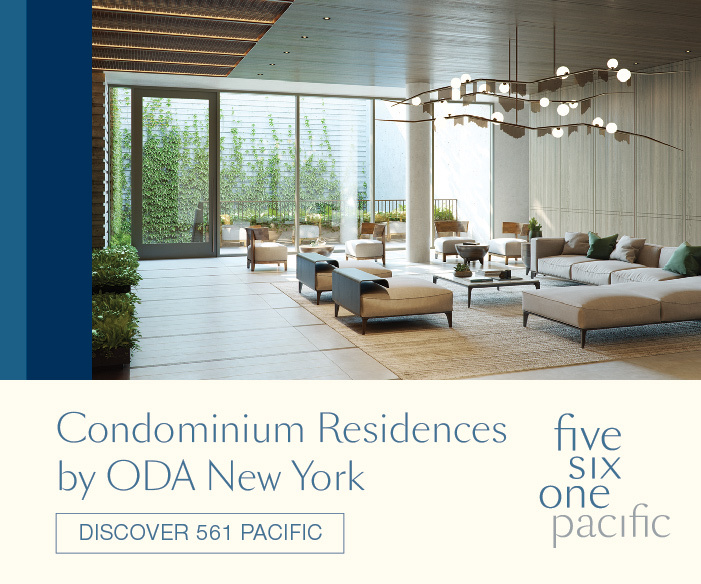 A total of 46 apartments are expected to debut as condominium units, averaging about 1,850 square feet apiece. A cellar level will span both buildings and include an open-air courtyard for common use, a gym, bike storage, mechanical components, and some residential area. 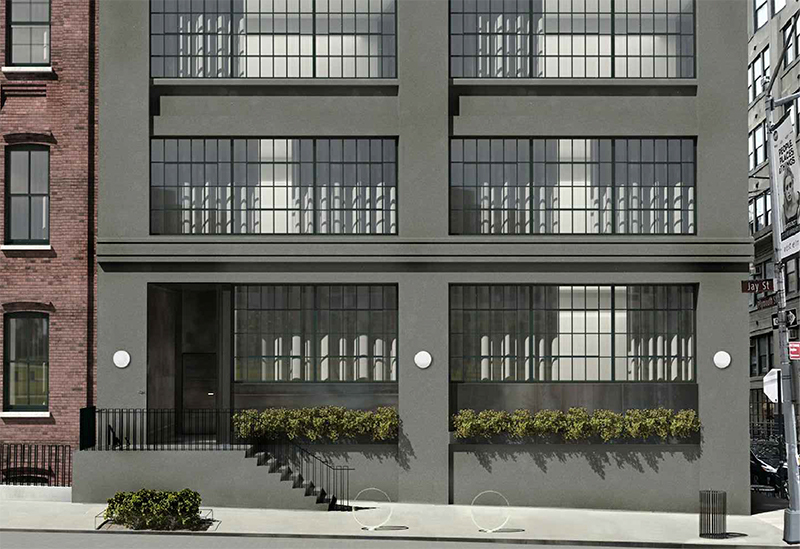 3 Comments on "Updated Design Unveiled for 168 Plymouth Street, DUMBO Historic District"
Please pardon me for using your space: Like it amok. We need more office space. Not any more luxury residential. Office space provides space for companies and jobs. 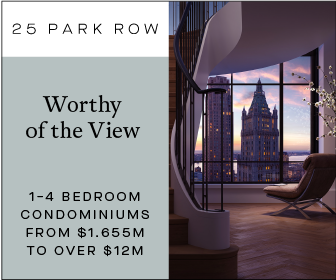 There is already a glut of luxury residential in this area and Downtown Brooklyn. Why add more where its not needed? ?